Office buildings are notorious for wasting paper, but not so with the heritage-listed Legion House. 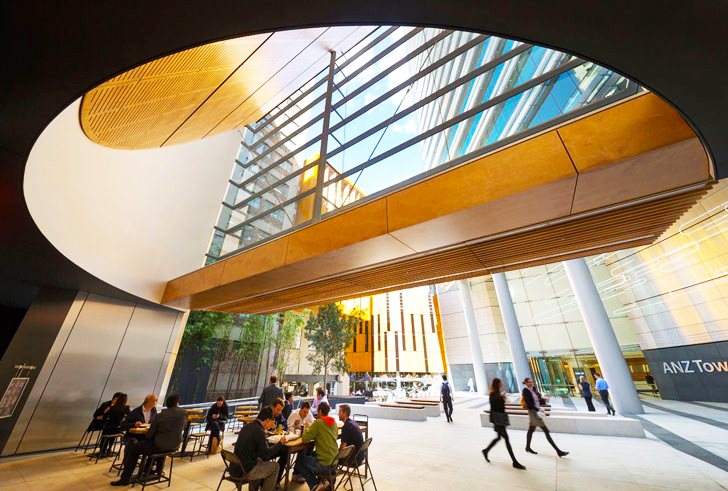 Australian architectural practice Francis-Jones Morehen Thorp designed a multipurpose energy-efficient development in Sydney that includes a commercial tower, retail space and an ambitious green refurbishment. The architects designed two new levels for the 1902 Legion House and deployed state-of-the-art technology that converts paper waste into a combustible gas used to generate electricity. The new technology has converted the tower into a carbon neutral building. The turn-of-the-century Legion House is located in the heart of Sydney CBD and has operated as a women’s hostel for the last 60 years. 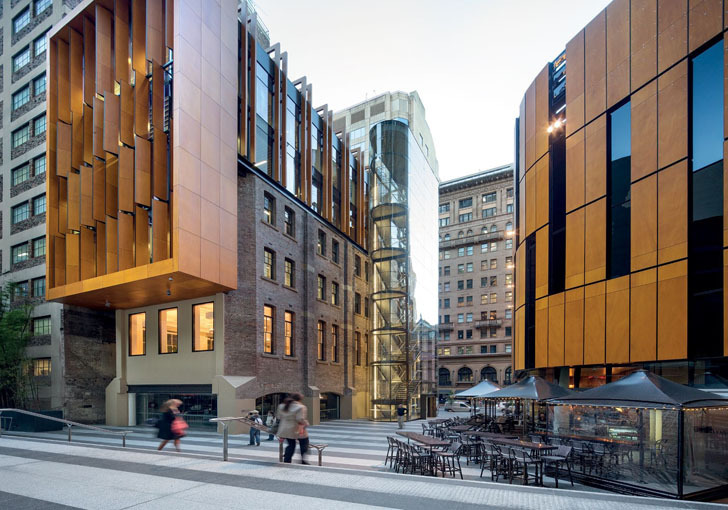 Francis-Jones Morehen Thorp was commissioned to redevelop a larger area that includes the building, which has been converted into a zero carbon structure that received the 6-Star Green Star Office certification. Because of the building’s location, which receives almost no sun during the day, the architects decided to opt for biomass gasification technology in order to create renewable energy on site. Legion House can use commercial paper waste generated from the adjacent office tower through shredding and compressing this waste to form paper briquettes, which can be used in the gasification plant. Surplus power created by its independent system is to be supplied to the 50-storey commercial office tower on the site. While traditional gasification plants utilize standard wood chips or briquettes made from compressed waste sawdust, Legion House uses paper waste. According to the architects, it is the first time this type of technology used in a large scale commercial office. The building also features chilled beam technology and rainwater harvesting and recycling systems. The turn-of-the-century Legion House is located in the heart of Sydney CBD and has operated as a women’s hostel for the last 60 years. Francis-Jones Morehen Thorp was commissioned to redevelop a larger area. This includes the building that was converted into a zero carbon structure, which has received the 6-Star Green Star Office certification. Because of the building’s location, which received almost no sun during the day, the architects decided to opt for biomass gasification technology in order to create renewable energy on site. Legion House can use commercial paper waste generated from the adjacent office tower through shredding and compressing this waste to form paper briquettes, which can be used in the gasification plant. Surplus power created by its independent system is to be supplied to the 50-storey commercial office tower on the site. While traditional gasification plants utilize standard wood chips or briquettes made from compressed waste sawdust, Legion House uses paper waste.